Home » Audio/Visual » TV Talk » How Incredible is Jessica James? Very. 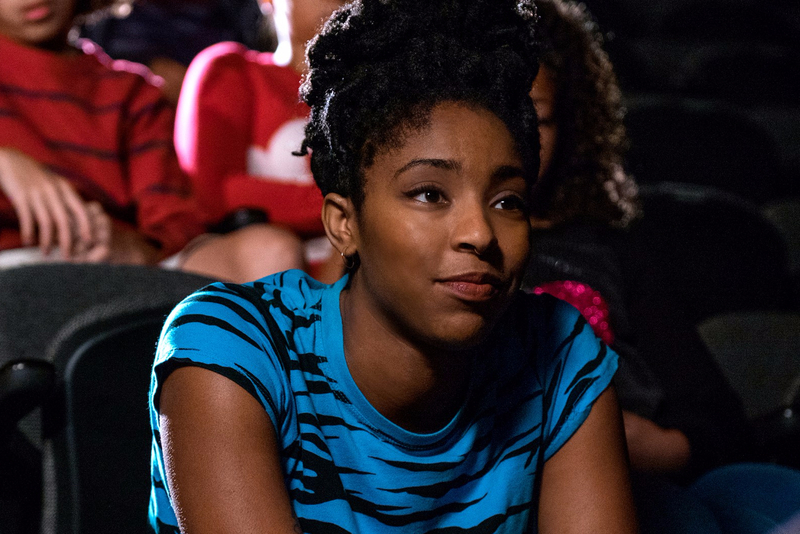 There is nothing more incredible than Jessica Williams in The Incredible Jessica James! The Incredible Jessica James is a movie for those that have spent so much time lost in their own persona that they forgot their way back to social civilization…which is cool, because no one really understood them anyway. Jessica James (played by a phenomenal Jessica Williams) is the friend in your head that can’t seem to get out of her own head, either. A twenty-something aspiring playwright-turned children’s theater coach, Jessica is trying to navigate through her failures (be they circumstantial or self-imposed) by being as unabashedly cynical as humanly possible. However, her latest rejection isn’t in the form of a letter from a theater group, but from her newly ex-boyfriend. In an effort to move forward, she finds herself on the rebound with a guy she met on a blind date that somehow intrigues her and brings forth an opportunity to step outside of herself to delve into the issues that birthed the person she is today, and what tomorrow may possibly bring. This comedy couldn’t be smarter if it got the highest score attainable on the SATs. It is a polished independent film that, though may have been considered low-budget, was never shot like one. The editing and musical score, enhancing the simplicity of the script, makes each contemporary nuance potent. James C Strouse’s screenplay makes every interaction seem organic, even the dream sequences. Williams was born to play this role; from her delivery, to her (WICKED!!) dance breaks. Her performance is so natural, it was less like she was acting and more like a documentary of her actual life experience. The supporting cast was also filled with standouts such as Lakeith Stanfield (who will be forever stitched into the fabric of film history for his performance in Get Out). Chris O’Dowd brought his own brand of bravery as Boone, the recent divorcee that finds himself falling for the cocoa-complected complexity that is Jessica. Jessica James tackles dating and relationships in a very necessary way for women in general and women of color specifically. The topics of race, interracial dating and noting the lack of representation of African-American women within the Theater Arts are quietly highlighted, but undeniable and handled exceptionally well. Netflix, I salute you. You have done it again; bringing a fantastic piece of film to the world that we didn’t even know we needed. Then again, we would have, if we would just get out of our own way and simply allow ourselves to be incredible…like Jessica! Five out of Five Jessicas.